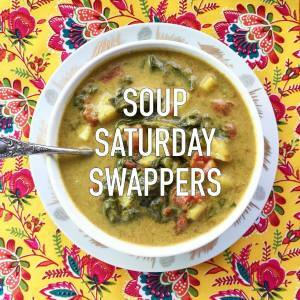 SOUP SATURDAY: A NEW BLOG EVENT! As those who follow my site might remember, a blog event I participated for years – The Secret Recipe Club – recently came to an end. Some of the participants took matters into their own hands and came up with fun ideas to keep us connected and sharing recipes on a regular basis. 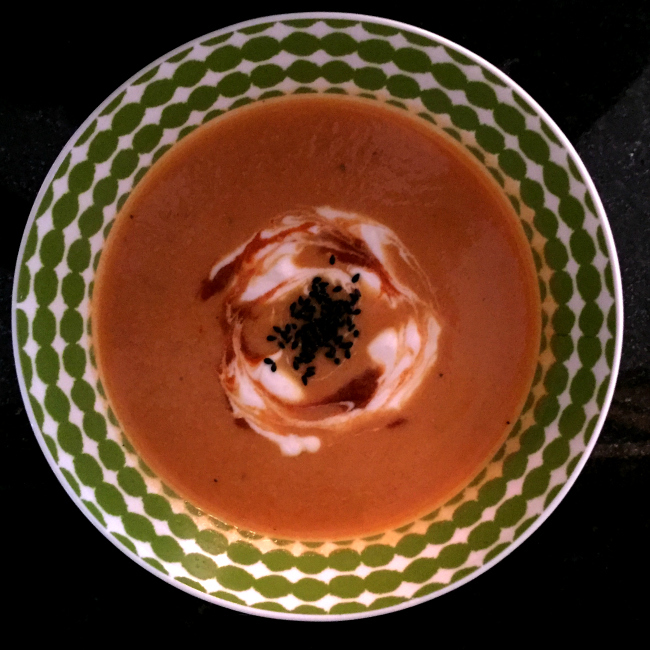 With this post, I offer my first contribution to Soup Saturday, as launched by Wendy, from A Day In the Life on the Farm. 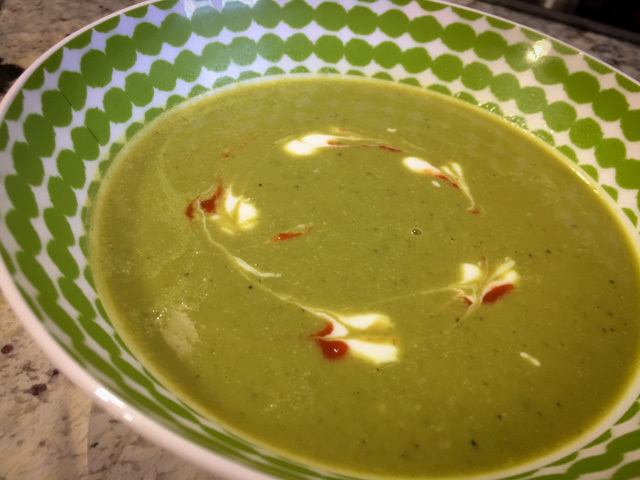 We are all sharing recipes for healthy soups so if you’d like some serious inspiration, make sure to click on the link party at the end of this post. I loved the idea because if there’s one thing I should make more often, it’s soup. Any reason to make it more often sounds great to me. To start things on a nice note, I will share not one but two recipes, both were a huge hit with us. I honestly don’t know which one would be my favorite. Phil leaned towards the second. I wish I had made them on the same day to pour them in a bowl side by side, making an Yin Yang kind of hybrid soup. I’ve seen that done before, it looks very stylish. Take a look at this version, for instance. Heat the coconut oil in a large saucepan. Add the leeks and saute until translucent. Cut the asparagus, in 1-inch pieces, add to the pan and saute gently for a few minutes, until it starts to get some color. Season with salt and pepper. Add the advieh, is using, saute briefly stirring constantly, until the spice mix releases its aroma. Comments: Advieh is a mixture of spices that varies a lot depending on the region, but usually contains turmeric, cinnamon, cloves, cardamom, ginger and dried rose petals. I got mine not too long ago, and decided to give it a try. Good move by Sally. It turned out subtle, not at all as if you are swallowing perfume… I would define it as a floral curry. Quite unique, very flavorful. I find the idea of eating something with rose petals quite enticing… don’t you? Rice the cauliflower in a food processor and reserve (you can also use the florets, in this case add them together with the carrots). Heat the oil in a large saucepan, add the shallots and saute until translucent. Add coriander and a little salt, saute until fragrant. Add carrots, saute briefly, add 5 cups of water and the miso, stirring well until it dissolves. Simmer for 15 minutes, add the riced cauliflower and cook everything together for 5 more minutes (riced cauliflower cooks fast). Remove the soup from the heat. Using an immersion blender, purée the soup until smooth, or transfer to a blender. Return the soup to the pan, over very low heat add the lemon zest and juice. Adjust seasoning, and serve. Comments: The original recipe from Melissa Clark has a higher proportion of carrots and uses more miso, which in my opinion overpowered the flavor of the veggies. I liked my revised version a lot more. You can barely detect the miso, but it adds a nice exotic flavor to it. This soup was my lunch three days in a row, and if there was more, I would have it on day 4 again. Nothing better in a chilly day, I can tell you that. I topped it with black sesame seeds, and a swirl of yogurt and Sriracha. That really took the soup to a higher level, I love to vary the amount of Sriracha at each spoonful, testing my limits. Of course, if you prefer a more tamed version, omit the hot sauce, but the yogurt is perfect with it.